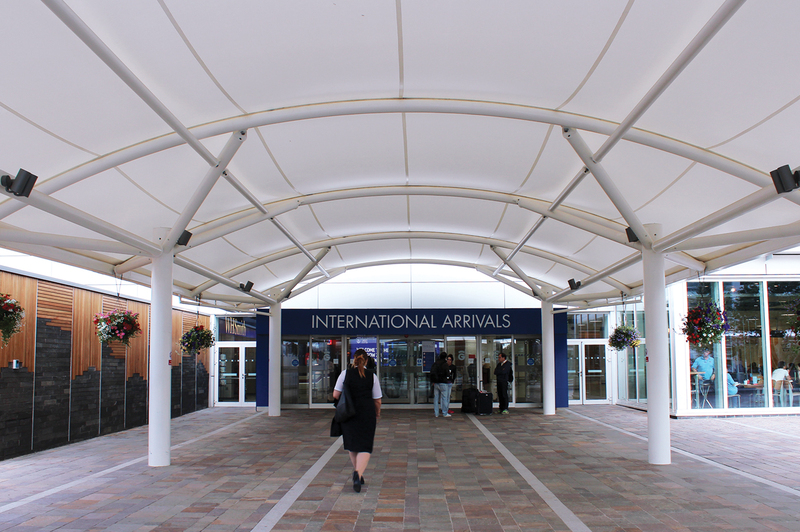 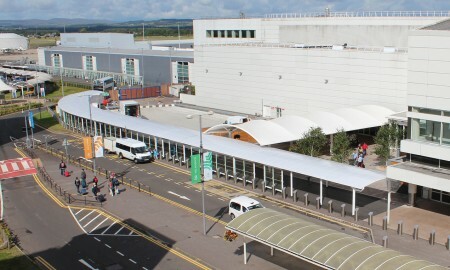 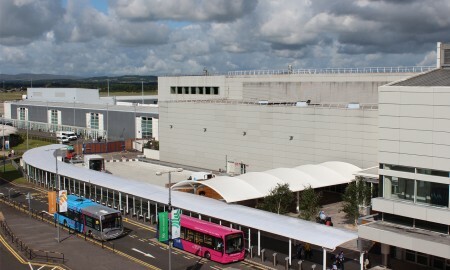 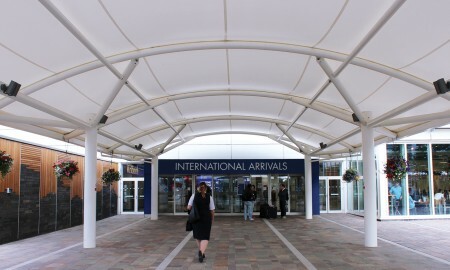 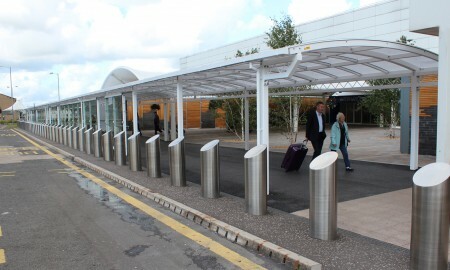 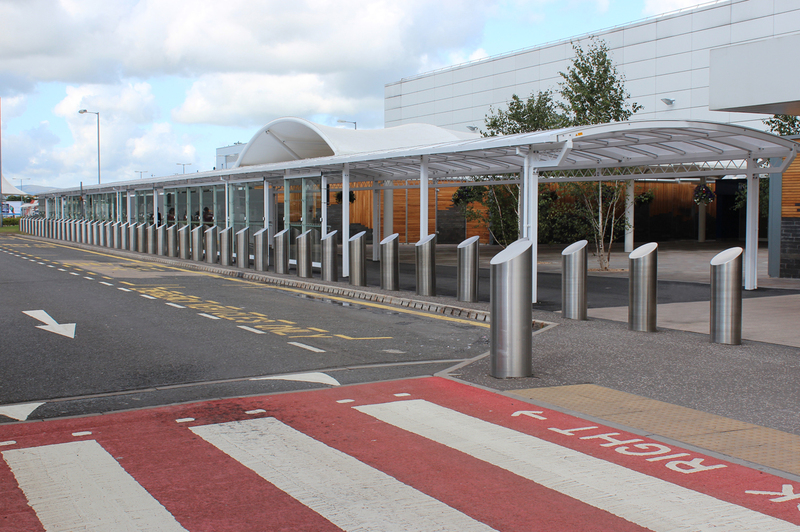 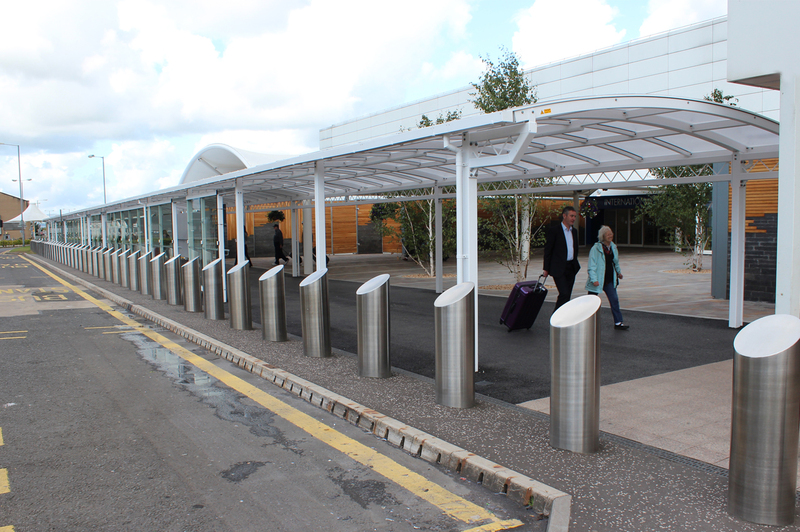 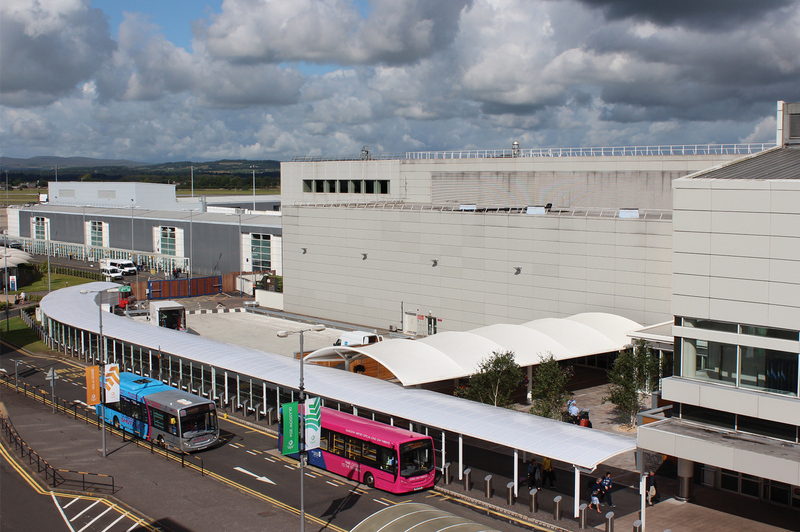 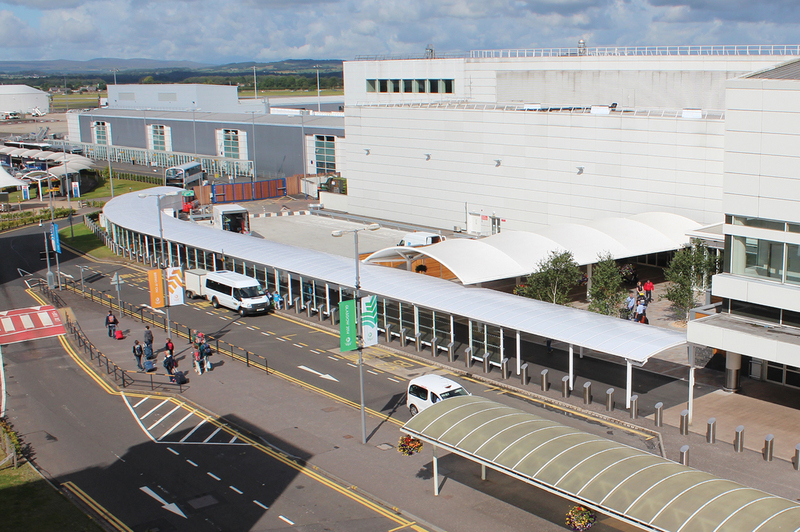 We were first approached by Glasgow Airport Ltd to provide a solution for their international arrival passengers. 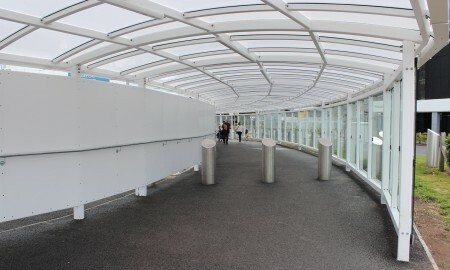 The large area in which passengers passed through upon exiting the building to get to their transportation was very open and drafty; passengers had no protection against varying weather. 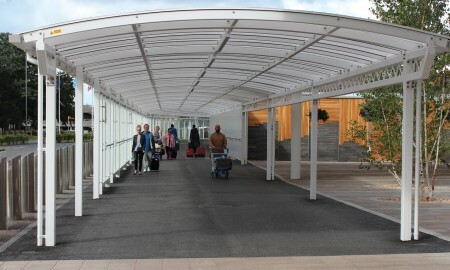 The Airport wanted something modern, striking and functional. 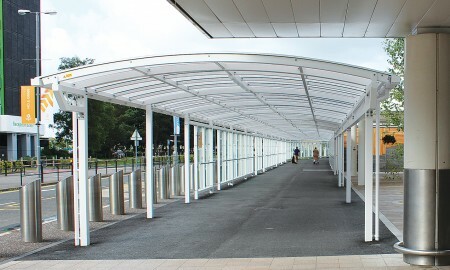 We set about various designs and consultations, and the resulting solution was an impressive 275m2 bespoke tensile structure complete with lighting and integral guttering. 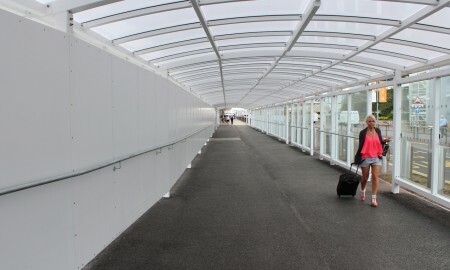 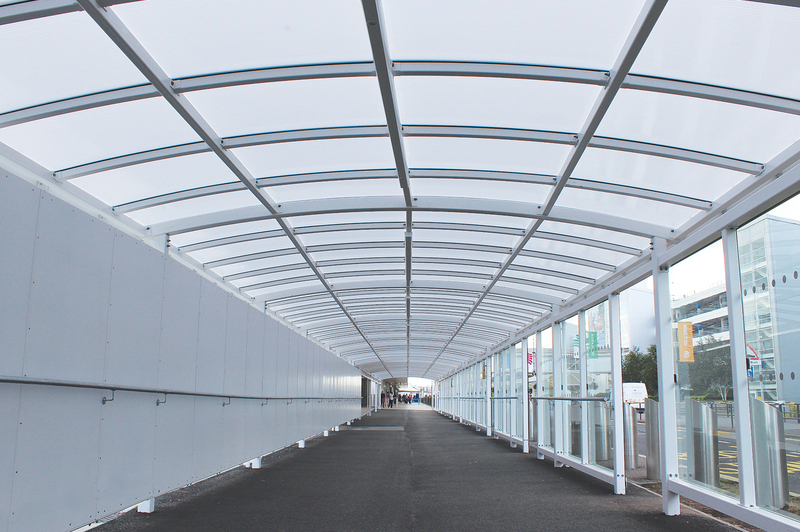 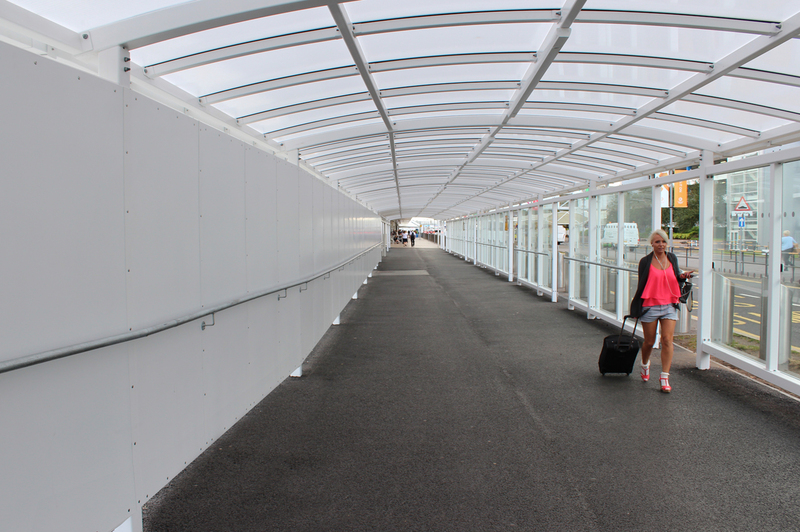 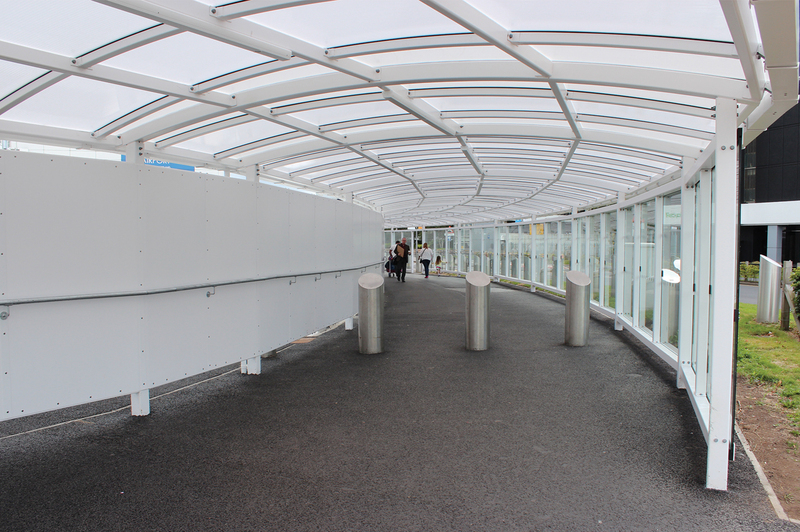 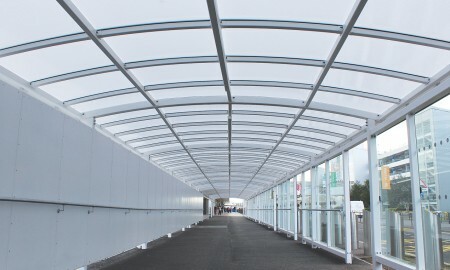 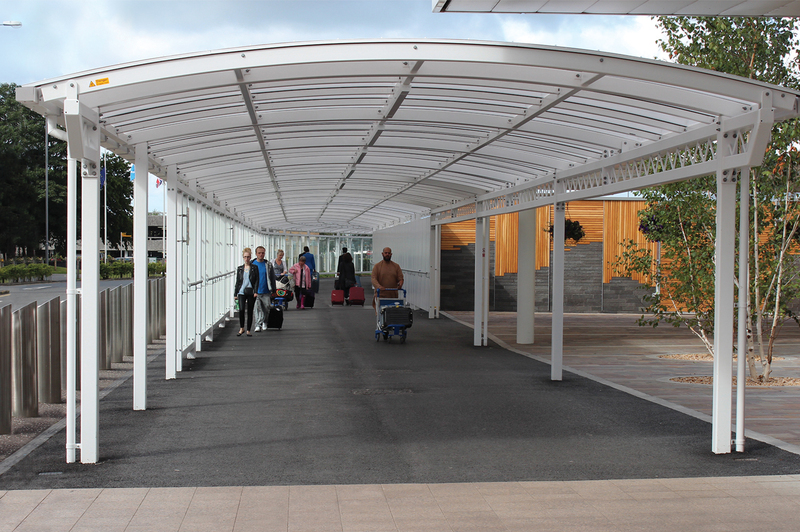 We teamed this with a bespoke Newcastle Seniorwalkway to ensure complete comfort for passengers. 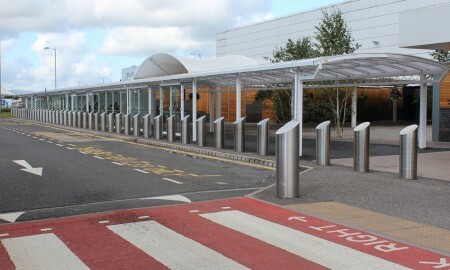 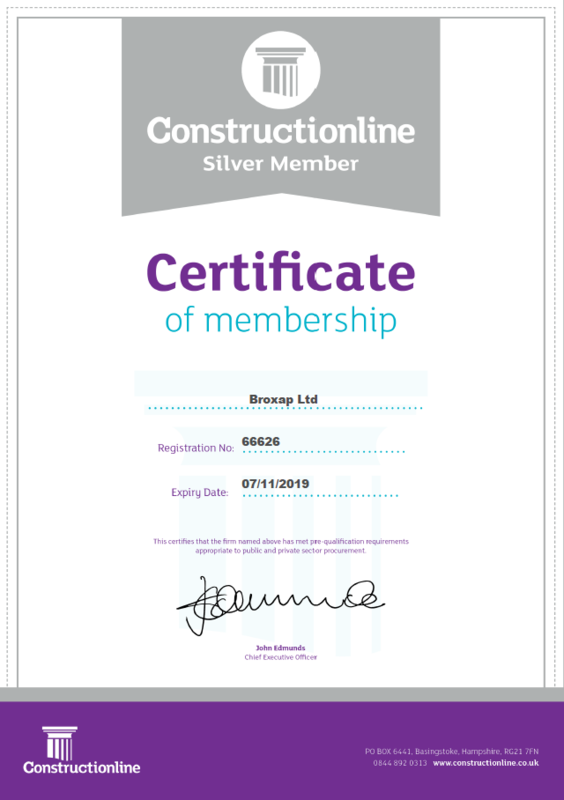 This challenging installation took place whilst the airport was live and active; and we simultaneously worked along side other trades who were also working in this area. 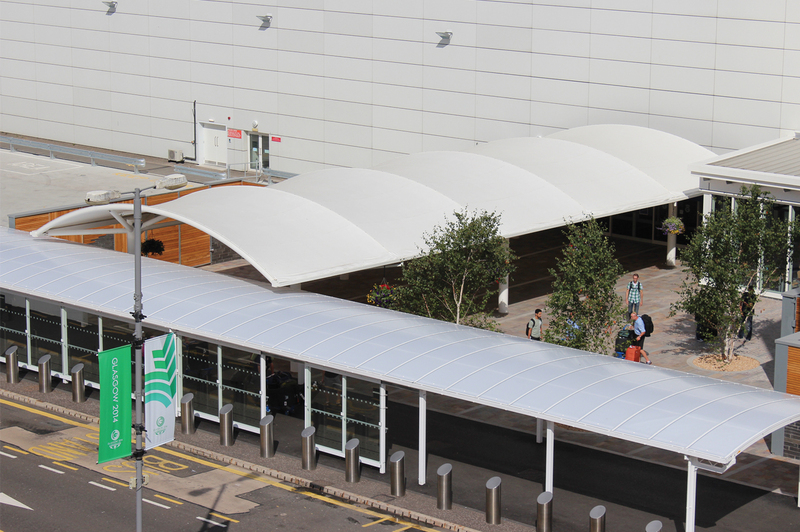 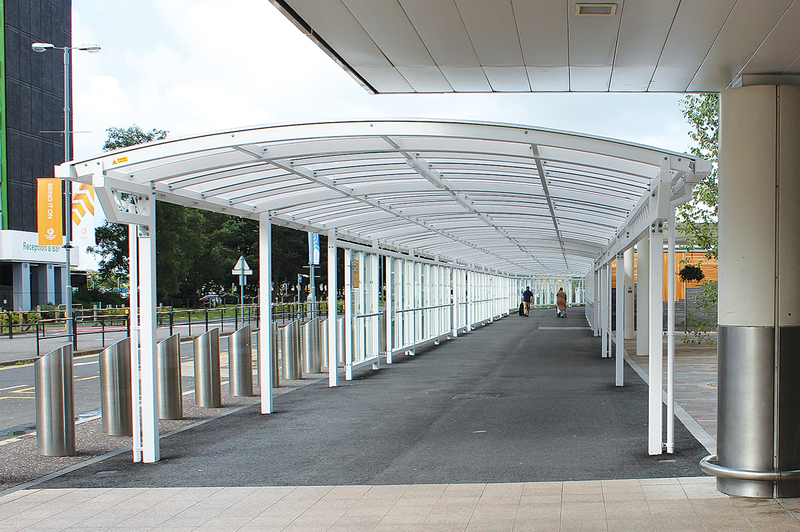 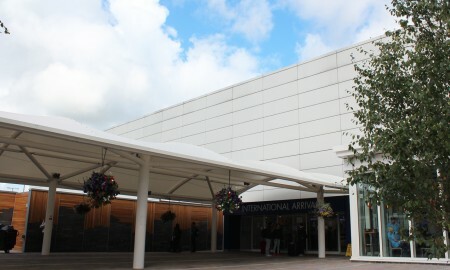 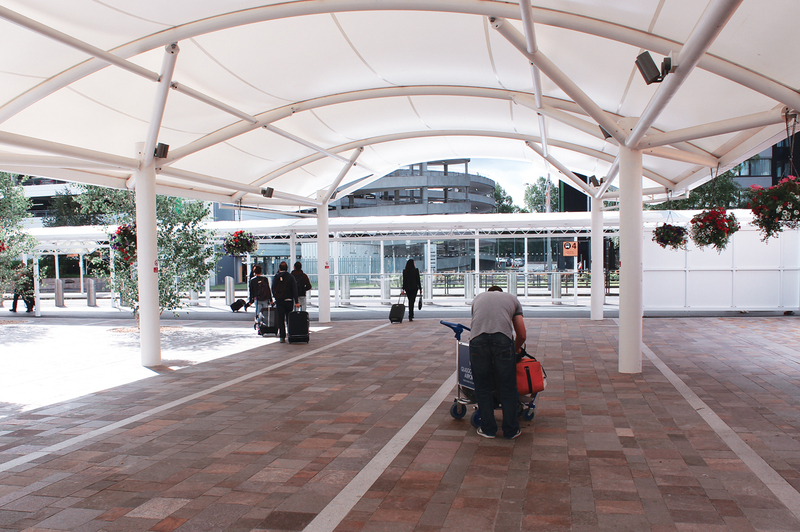 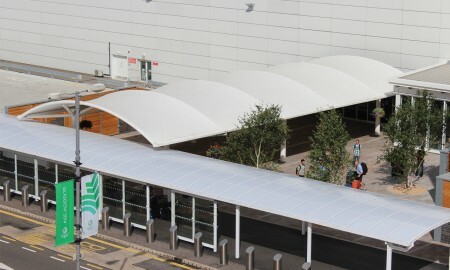 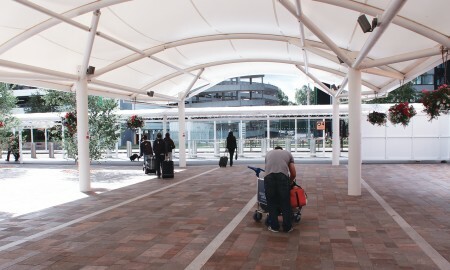 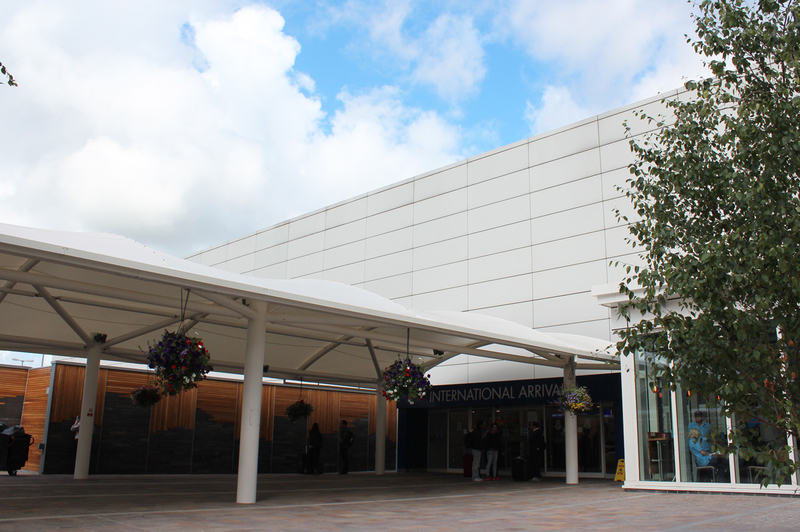 This remarkable piazza canopy now complete, provides passengers with a stylish light and airy cover as they leave international arrivals.